President of the Brazilian Society of Plastic Surgery - Regional of São Paulo (management 2006/2007). Secretary of the Brazilian Society of Plastic Surgery - Regional of São Paulo (management 2002/2003). 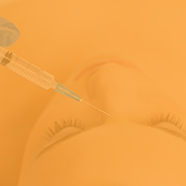 Active Member of International Society of Aesthetic Plastic Surgery. Specialist by the Brazilian Society of Plastic Surgery, Nov / 1987. Full Member of the Brazilian Society of Plastic Surgery, Nov / 1994. Member of the Board - Techniques of Plastic Surgery of the Regional Council of Medicine-SP (2002-2003). 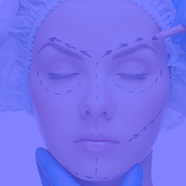 Master in Repairing Plastic Surgery, Federal University of São Paulo / Escola Paulista de Medicina. Topic: Clinical and Histopathological Study of Idiopathic Cutaneous Hyperchromia of the Orbital Region, 2000. Defended Laurea Thesis by: UNIVERSITA 'DEGLI STUDI LÁQUILA FACOLTA' DI MEDICINA E CHIRURGIA Cattedra di Anesthesia, Rianimazione and Intensive Therapy. Titolo: THE PREVENTION OF POSTOPERATIVE DOLORE, Report: Prof. Giustino Varrassi, 1992-93. University of Miami - Dept. of Plastic Surgery - Ralph Millard Jr, April / 1992. Plastic Surgery Clinic Thomas Baker, Miami, May / 1992. Ivo Pitanguy Clinic, August / 1989. Department of Plastic Surgery, New York University, Oct / 1989. Manhatan Eye, Ear & Throat Hospital, New York, Oct / 1989. University of Miami - Intensive Care Unit, May / 1984.